Aerial view of the MOSE project. Image courtesy of Chris 73. Project work on the MOSE flood protection system began in 2003 after much delay. Image courtesy of Marrabbio2. A total of 78 mobile gates will be laid at the bottom of the seabed as part of the MOSE flood protection project. Image courtesy of Nerijp. 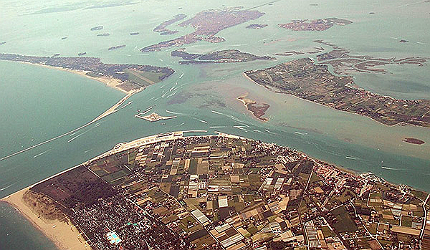 The Venetian Lagoon with the inclusion of the MOSE project site. Image courtesy of Chris 73. A three-dimensional picture of the MOSE flood gate system. Image courtesy of Irønie. Venice is under serious threat due to the rise in sea level and sinking of land at an alarming rate. 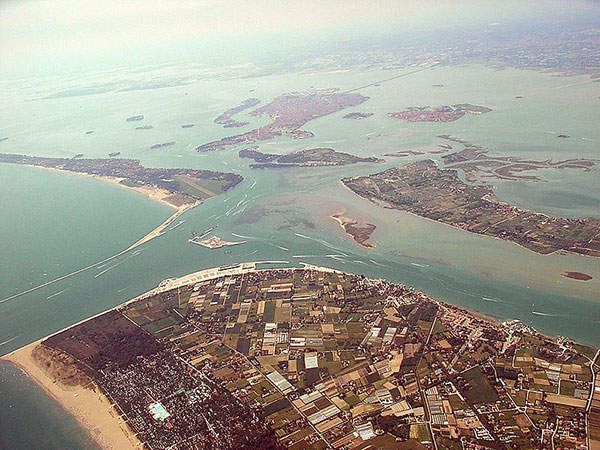 The MOSE project will protect the Venetian Lagoon from being submerged by the Adriatic Sea and protect the famous city of Venice and the neighbouring areas from flooding. It is expected to be operational by 2014. "When completed, it will safeguard Venice and the villages located within the Venetian Lagoon from flooding, and prevent the further rise of the sea level." MOSE, the Italian word for Moses, is an acronym for Modulo Sperimentale Elettromeccanico, which means Experimental Electromechanical Module. The name aptly alludes to the story of Moses parting the Red Sea. 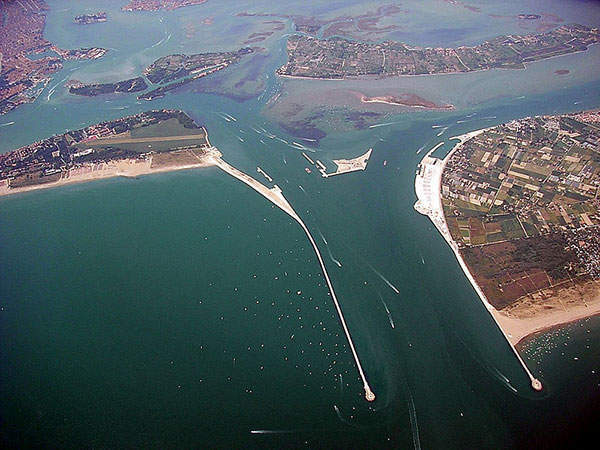 The project will prevent flooding through the installation of 78 mobile gates at three inlets, namely Lido, Malamocco and Chioggia, which will separate the Venetian Lagoon from the Adriatic Sea. 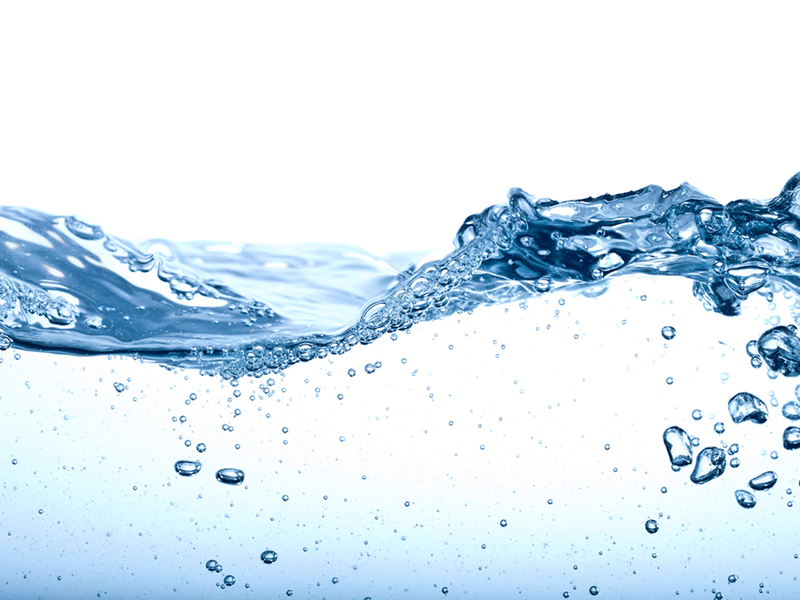 Consorzio Venezia Nuova has been entrusted to carry out the project by the Venice Water Authority, with Astaldi holding a share in the project. It is a consortium of Italian construction companies, co-operatives and firms which are experienced in operating the lagoon. The construction work on the project began in 2003 after much delay. As of June 2012, 75% of the work at the site has been completed. The project is expected to be fully completed by 2014. When completed, it will safeguard Venice and the villages located within the Venetian Lagoon from flooding, and prevent the further rise of the sea level. The Great Flood of 1966, which caused massive loss of life and property, and the sinking of the city by 11 inches during the course of the last century, provided the momentum and necessity to protect Venice. The reasons for the sinking of the city of Venice are principally attributed to the rise in the sea level and extraction of ground water and methane gas within the vicinity of the Venetian Lagoon. "MOSE, the Italian word for Moses, is an acronym for Modulo Sperimentale Elettromeccanico, which means Experimental Electromechanical Module." MOSE took shape after being loomed over by a number of consultations and controversies. The proposal to provide a safe measure from flooding dates back to the 1970s. In 1973 a Special Law was enacted, under which six project proposals were accepted after invitations from Consiglio Nazionale delle Ricerche (CNR) and later taken up by the Ministry of Public Works in 1980. 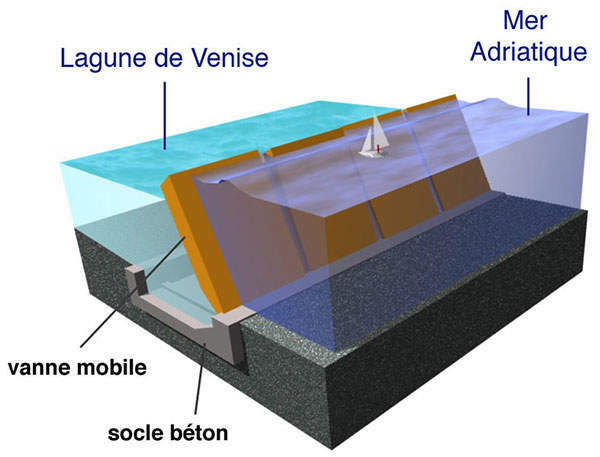 The feasibility study for the proposals were completed in 1981 under a project named Progettone, which proposed the setting up of fixed barriers at the inlets, including mobile defence structures. The second Special Law of Venice to provide criteria and strategies took shape under a committee known as the Comitatone, which enabled the Ministry of Public Works to grant a single concession for the companies agreed upon by private negotiation. In 1982 Consorzio Venezia Nuova was entrusted by the Water Authority to design and implement the measures to safeguard the city, which was presented in 1989 under a project named Riequilibrio E Ambiente (REA), which translates as Rebalancing and the Environment. It provided an abstract design of the mobile barriers at the lagoon inlets and was finally approved in 1994 by the Higher Council of Public Works. The first environmental impact study was accepted in 1998 and was improved in 2002. Construction work of MOSE finally started in 2003. A total of 78 mobile gates are being laid at the bottom of the seabed as part of the MOSE project. They are 92ft long, 65ft wide and will weigh 300t. 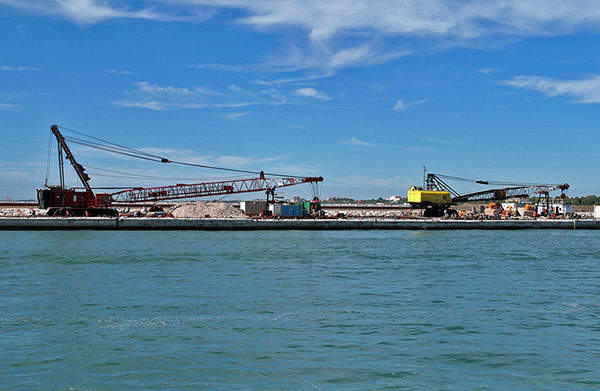 The mobile gates being laid at the bottom of the inlet channel are supported by 125ft long steel and concrete pilings, measuring 500mm in diameter and 20m in length, driven into the lagoon bed. The floodgates consist of a metal box structure. Compressed air is pumped into the structure when a tide of more than 110m height is expected. 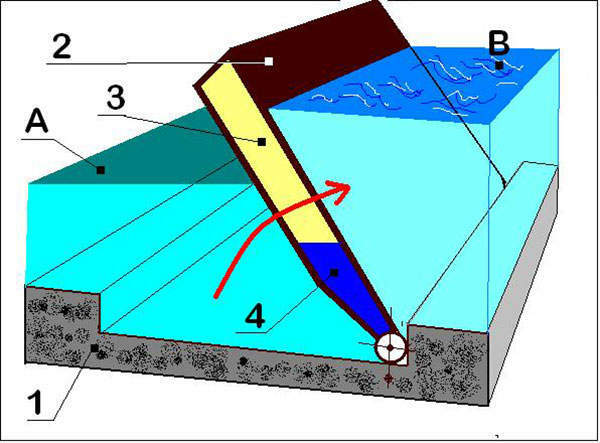 The air will rise up the barriers to the surface of the water to block the flow of the tide and prevent water from flowing into the lagoon. Floodgates are hollowed at the bottom, to allow the blowing of compressed air. They will be filled with water and lowered into the seabed when there is no harm of flooding. The floodgates at each inlet will function independently depending on the force of the tide expected. The MOSE project also includes strengthening of the coastal areas, raising the quaysides and paving of the city. In.Te.Se costruzioni d’acciaio designed and constructed two hydraulically self-propelled loading carriages for the project. The loading carriages are being used in moving and positioning the reinforcing piles vertically. The batching plants used for construction in the MOSE Project are supplied by SIMEN. The total investment for constructing the MOSE Project is estimated at €7bn ($8.8bn). CIPE (Interministerial Committee for Economic Programming) financed the project in three instalments, of €450m ($568m), €709m ($896m) and €380m ($480m) respectively, in November 2002, September 2004 and March 2006. In addition, CIPE financed €243m ($307m) in August 2007, €400m ($505m) in January 2008, €800m ($1bn) in December 2008, €230m ($290m) in November 2010 and €600m ($758m) in December 2011. The remaining funds required for the project will be looked after by the Committee for Policy, Coordination and Control (Comitatone).